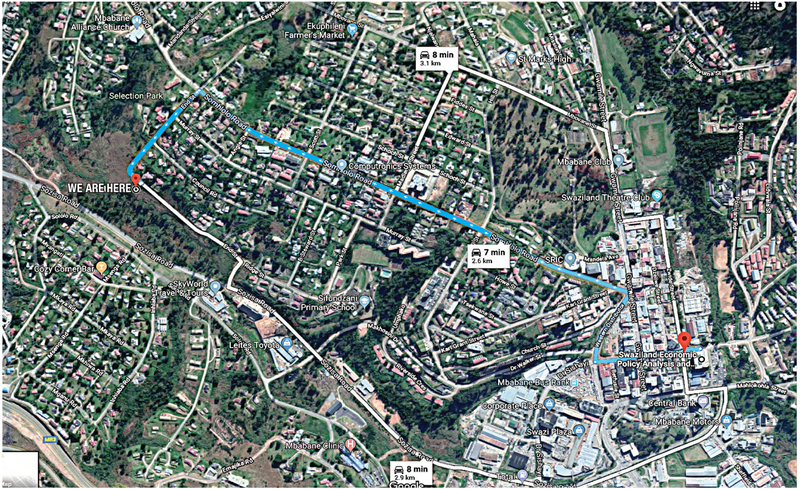 This study maps the national system of innovation (NSI) in Eswatini using national research and experimental development (R&D), and innovation surveys. The study identifies the actors and activities in the NSI. It finds that investment in knowledge creation is very low; expenditure on R&D is 0.26% of GDP, while knowledge flow mechanisms between university and industry are weak. It also found that there is a low capacity of science, technology and innovation (STI) personnel in especially the fields of science and engineering. Additionally, the study found that a lack of resources, access to information and technology, limitations of policy, and inflexible regulation inhibit innovation in Eswatini. As a result, only 52% of the surveyed firms reported having come up with innovations, with more than 50% of the innovations originating from outside the country. These findings indicate that Eswatini’s NSI is relatively underfunded and weak. Efforts to augment the performance of the NSI in Eswatini should focus on developing a national STI strategy and establish appropriate institutions and innovation funding mechanisms. The government should strengthen its STI governance and provide a conducive environment for innovation within an STI framework that addresses national challenges and leverages on national resources and capacities.